The region of Central and Eastern Europe experienced a huge change over the last two decades. Its successful transition from a state-run, inefficient and closed economic system to a developing and competitive market economy was a genuinely historical achievement.The scorecard presented in this report is a tool for comparing various aspects of the business environment in the countries of the region. WUT Business School became a partner of the international research project GUESSS. It is a research project about the context of entrepreneurship. Its purpose is to grasp the entrepreneurial intent and activity of students using a geographical and temporal comparison. Data is gathered using an on-line survey. The first survey wave took place in 2003, and the sixth one has started in October 2013. Commercialisation of scientific research in Poland. The main conclusion derived from Professor Orłowski’s report is the statement that the public expenditures on research and development have reached their limit. From now on, this area of market should be financed by private companies. The report emphasizes that it is necessary to introduce changes to Polish scientific institutions and to enfranchise the scientists, i.e., give them the rights to inventions. So far there have been only a few attempts to empirically test the relation between the drivers of value creation and the financial e-business performance with a quantitative approach, though the outcomes were rather inconclusive and context sensitive. In 2013 we published the results of our survey study investigating links between modes of value creation and profitability of Polish internet companies. The findings revealed that out of four elements comprising a value creation model, that according to Amit and Zott’s taxonomy (2008) comprise novelty, complementarities, customer lock-in and efficiency, only the complementarities were statistically significant predictors of financial performance. The key objective of the proposed research is to test the link between the adopted value creation model (originally proposed by Amit and Zott, 2001) and the financial performance of e-business companies sampled from a wider set of European countries. Keeping the Cash Flowing. 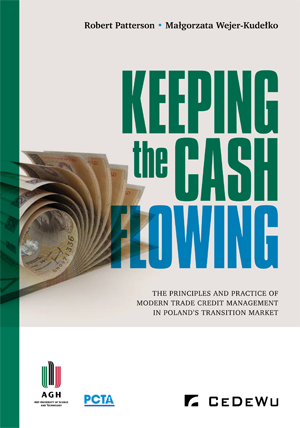 The principles and practice of modern trade credit management in Poland's economy market. This book explores an important but often neglected aspect of a firm's finances: trade credit management (TCM). When firms offering credit to each other so purchases can be made on open account it is a vital source of business-to-business credit flows. Trade credit is the life-blood of competitive economies. The book explores the topic from many angles and is anchored in the hard realities of Poland's marketplace. Capital Where it is Wanted. 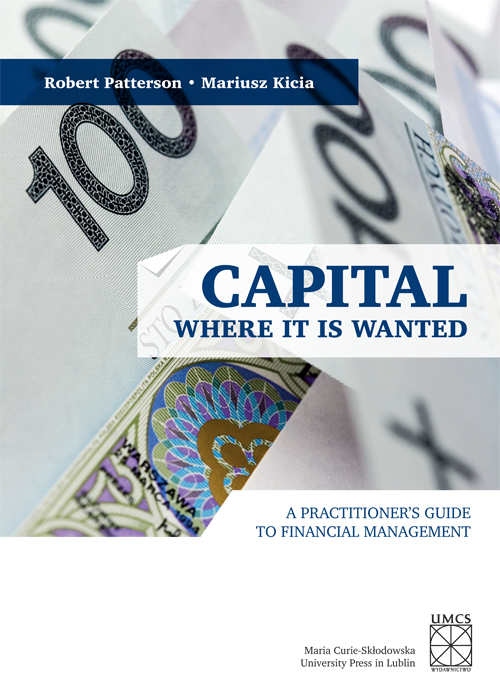 In an accessible and structured way this book discusses basic issues of corporate financial management. It is also an exhaustive compendium of professional terminology used in everyday business practice. Its additional advantage are the Polish and English language versions which will be useful both for students of economics as well as other readers, including those who are preparing for professional examinations or who work in an international environment. Polish version of the book is also available. 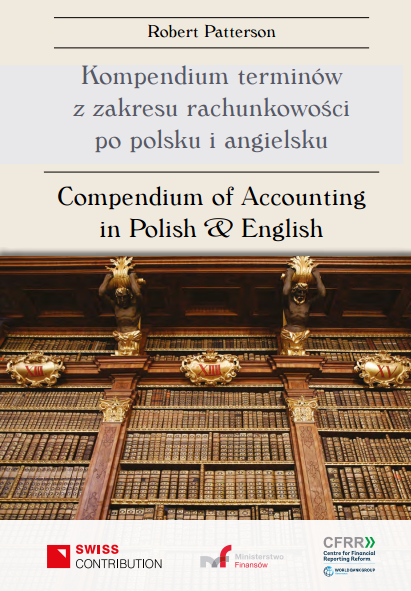 The Polish-English Compedium of Accounting, Finance and Banking is available on Ministry's of Finance website. Publication co-authored by prof. Sylwia Sysko-Romańczuk. The 19th century industrial revolution has changed the societies and has created scientific management. Currently visible changes will lead to further technical revolution and will generate the need to verify foundations of management. In 1982, Robert Nasbitt in his work entitled “Megatrends”, listed trends such as decentralisation, networking, high technologies, information society. Nowadays, we have the opportunity to see these paradigms operate in practice. The book is part of a series “Library of Autonomy Education”, which is a collection of 6 publications dedicated to entities of territorial government in Poland. The series enables the local governments to recognize the problems of education and encourage them to create strategies for schools and institutions controlled by them. Świat do przeróbki. Spekulanci, bankruci, giganci i ich rywale. The global crisis in 2008 overthrew many economical taboos. It shook banking industry and stock markets. It jeopardized financial solvency of great countries. It showed the weaknesses of European and American economies. When will the crisis end and what will the world look like afterwards? How do ecology and technology influence global changes? Professor Orlowski’s book offers answers to these questions. The author provides an analysis of the economic growth in Central and Eastern Europe starting from 1950 (referring back to historical and cultural causes of the developmental processes in the past millennium) and ending in 2007. He also considers the possibilities of region’s development up to 2030. The world has gone crazy. Suddenly we have fallen into the very middle of a huge economic crisis. Banks have bankrupted, stock markets have crashed, the recession is waiting at the doorstep. What happened? Why did it happen? What will the future bring? This book tries to find answers to these questions. It explains economic matters using a simple language because it was written to help all of us understand what is happening these days.